Rhythm and Vine is an annual event to connect SAMBA family and friends with each other off the marching field! Let’s kick off another fantastic year for the Sunset Apollo Marching Band and Auxiliary with a delightful and relaxing afternoon of wine, food, and music at the breathtaking Garden Vineyards. Non-alcoholic beverages, water, juices, and additional wine will be available by the glass or bottle. A portion of separate Garden Vineyard sales will benefit the band and color guard programs. 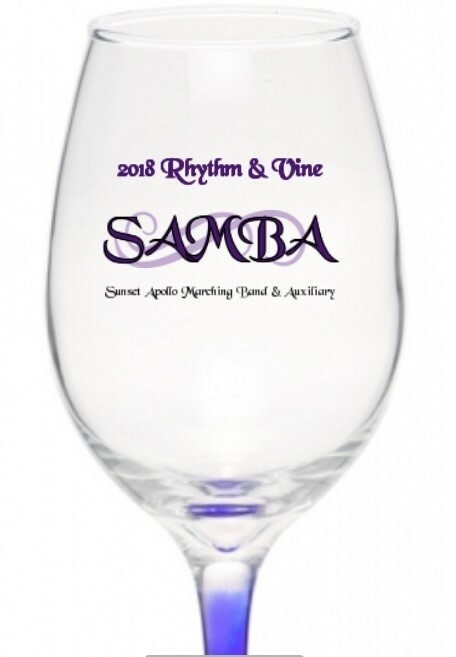 2018 Rhythm & Vine – Wine Tasting for SAMBA. Tickets can be purchased at Pre-Registration, Registration Day or any time before August 10th through the PayPal link above. Tickets upgrades and extra 2018 wine glasses will be available for purchase. For questions or special dietary needs, please contact Maria Eldred at 503-545-2923. We’ll take good care of you!